I started a strange journey nine months ago. 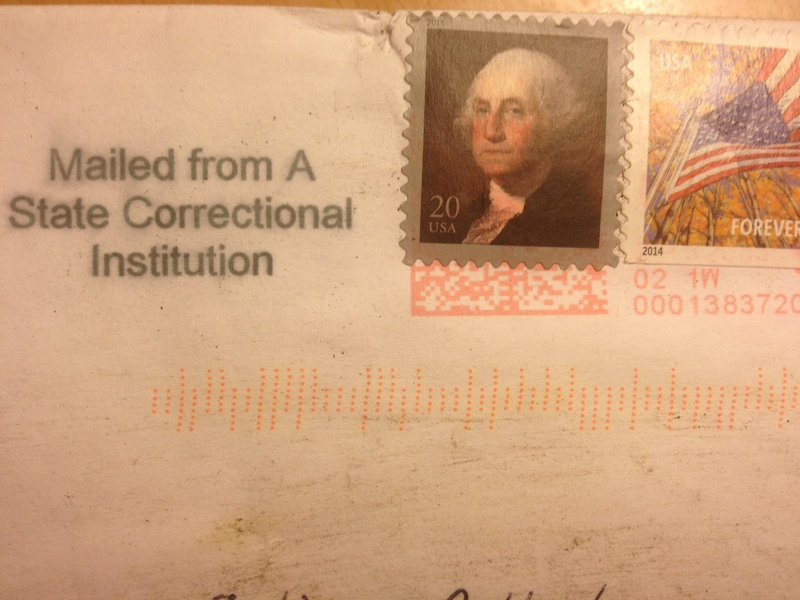 Out of the blue, I contacted an organization in order to correspond with an inmate on the US death row. I’ve always had a strong fascination for the penitentiary world. Prisons qualify as heterotopias, these “other spaces” of society theorised by French philosopher Michel Foucault. Heterotopias are enclosed public locations run by their own rules and their own relationship to time. Ten days later, I received the name and address of the man who would become my penpal. There was a short manuscript letter enclosed, with his request to be put on the waiting list for the penpal program. He had been waiting for 14 months. I was moved in an unusual manner when I saw his handwriting. I instantly sensed that I was getting myself into an extraordinary human adventure. The organization provided me with a list of recommendations and advice. The one that stroke me the most was that I was supposed to regularly check the calendar of scheduled executions on the official death row website. Most likely the information would be online before the court and lawyers would announce it to my penpal. I was going to know before him when he was scheduled to die. They strongly recommended not to try to find out information about the facts, but one of the first things I did was to google the man. My curiosity to discover his face and the crimes he was accused of was too strong. His name is ΝΣ. He’s going to be 47 in August. I learned from the web that he had been involved in drug trafficking. He was convicted of first degree murder in 2000 for commending the double murder of a couple. The woman had died and the man had survived the bullet shots in his head. I didn’t know anything about his life conditions in jail and it was super touchy to write my first letter to a stranger who had been cut off from the outside world for the last 14 years. He replied very fast, and I remember being disappointed by his first letter. He was complaining about the prison selling iTune songs for $1.49 to the inmates. He thought it was a total rip off. I felt stupid in my spiritual expectations. I wanted deep moving conversation, remorse, metaphysical reflection on life and death, and I was facing a supposed murderer who ranted that Apple was overpriced. I had got caught in my own game of craving for depth and redemption. I replied to him that I was paying my iTunes songs £0.99, which was more or less the equivalent. “And I haven’t killed anyone” I thought. But I didn’t write it. I toned down my expectations after that. I chose not to ‘want’ anything from the guy. We never talk about the facts he’s charged with. I let him bring up whatever he wants about his trial, his case and his life conditions. I don’t have an opinion about what he did or not. I don’t know the truth. I am reading between the lines that he’s claiming innocent. I chose to believe him when he says that his trial was botched up and that the American justice system is a maze. He says he had poor defence. The court didn’t look at the evidence and didn’t call his witnesses. He’s studying law books to work on his case every day. He had an appeal in May, aiming to get a new trial in a few months. Gradually, we started having some kind of relationship. He asked me to ship him the World Almanac. I have to learn the procedure and rules for everything I want to send his way. I got him candy and chocolate through a food order form for Christmas. He told me a little about his background. He was born in Trinidad and Tobago. He has 6 or 7 siblings but his family almost cut him off. One of his sisters visits him once a year. 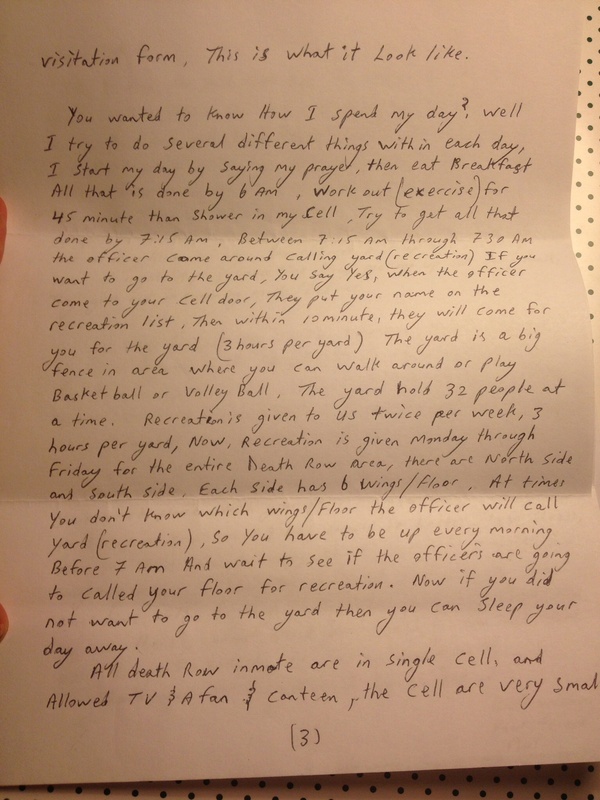 My favorite part of his letters is the description of his day to day, the rules of the prison, his life conditions, the updates on his trial. I mostly tell him about my trips so he has names to look up in the World Almanac. I always get him postcards everywhere I go. I often don’t even send any to my family and friends, but I always make sure to get one for him. After all, he’s also the only person who sends me real letters. After a few months, I started signing my mail “Your friend, Σ”. He did the same. I started referring to him as my ‘Death Row Companion’, or more familiarly as my ‘Death Row Babe’ – which I obviously don’t tell him. 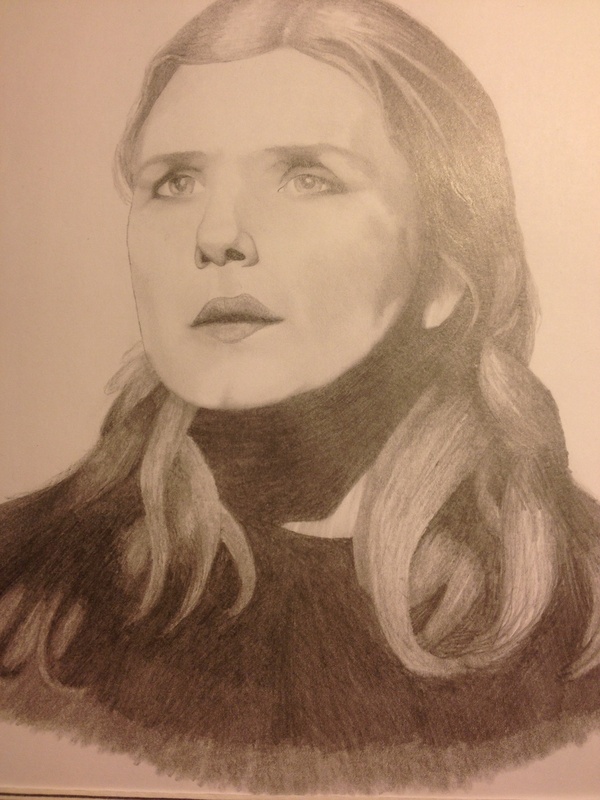 To thank me for my gifts, he had my portrait drawn by another inmate on the death row who is his friend. He used the photo of me which I sent him at the beginning of our correspondence. I don’t know when they meet, because they have individual cells, but they have up to 6 hours of recreation per week which must be collective. This portrait of myself is one of the most precious gifts I’ve ever received, because there’s the hell of an intense story behind it. It doesn’t look like me but it does at the same time. The movement of my hair looks incredibly real with pencil. I have put it on the top shelf, between the books by my dear Virginia Woolf and King Kong Théorie by Virginie Despentes. He was impatient to get my feedback on the drawing. I think he was happy to have shipped me something. I asked him the name of the artist to thank him as well. Now, he starts being more chilled with me. The other day, he asked me for tips to cut down his belly fat. I laughed and I made him funky stick man drawings of the plank position. He told me he has been doing the exercises every day. 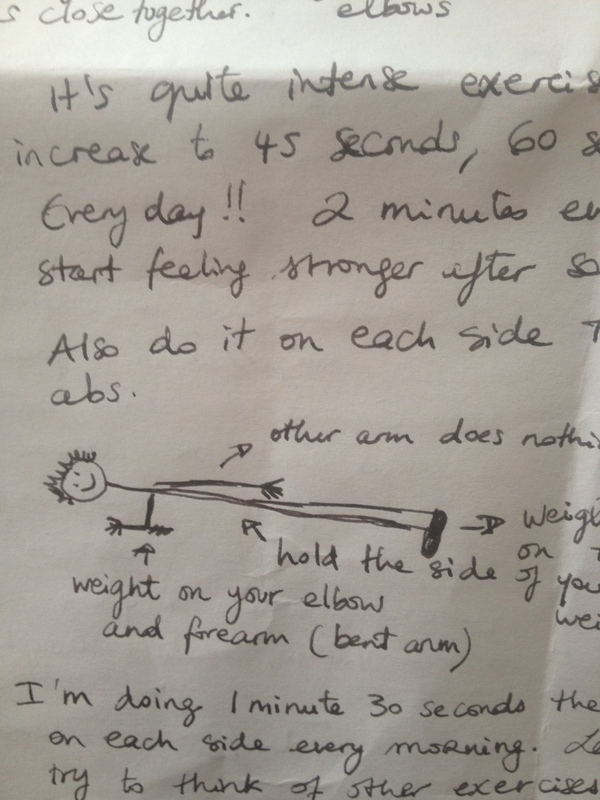 Next, I’ll send him some stick man sketches of the sun salutation. I’ve decided to go and visit him at some point. I don’t know if I should, because this friendship is scheduled to stop and I can’t say that I wasn’t aware of it. I’ve received an email from the organization this morning. The subject was: “Two executions scheduled for September”. I opened it in a hurry, but his name wasn’t there. I am tough and stubborn, so I’ll end up visiting him anyway. 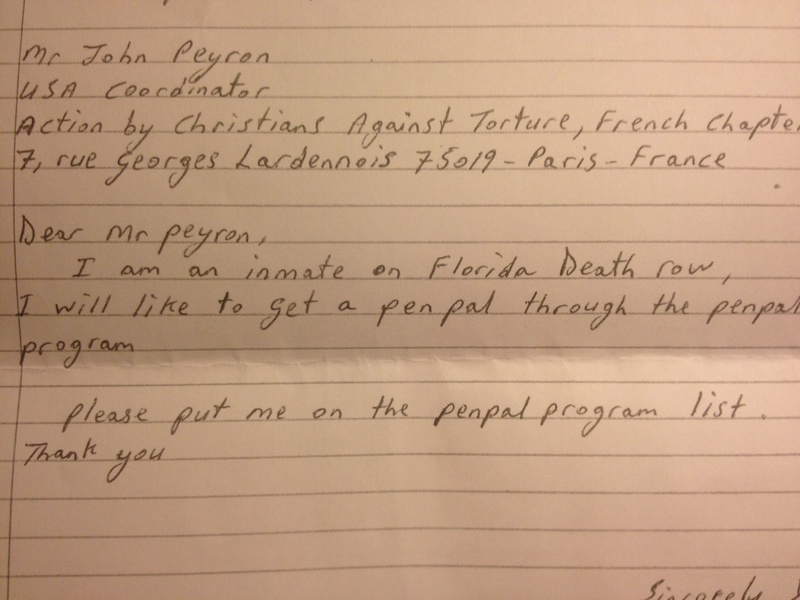 There are currently at least 30 people on the death row in the US who are waiting to be put in contact with a penpal. I know 2 organizations which run the penpal program: the ACAT in France, which is the Christian organization I am involved with, but you don’t have to be Christian or to be a practicing Christian to register with them. 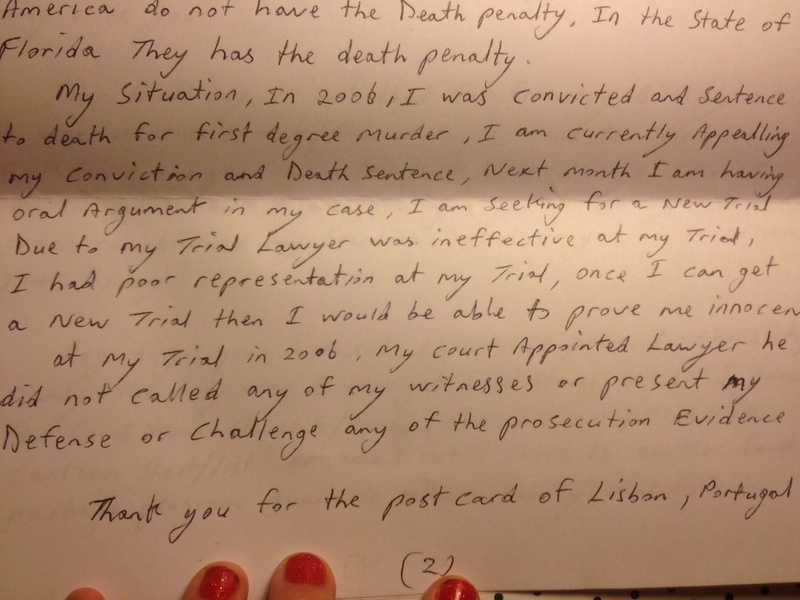 Human Writes is a British organization which also runs the death row penpal program. 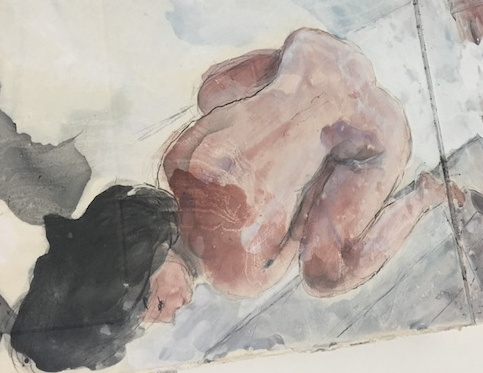 The only requirement is to be over 18 and to commit to write regularly, as this correspondence may be the only support received by the death row inmates.